The Lures by Atom Striper Swiper is a surface plug which has fantastic action and has been slaying striped bass and other ocean species for decades. They are built saltwater tough to withstand the rigors of battling monster gamefish. These lures have been staples in the smart saltwater fisherman's tackle box since Bob Pond's success with surface plugs. 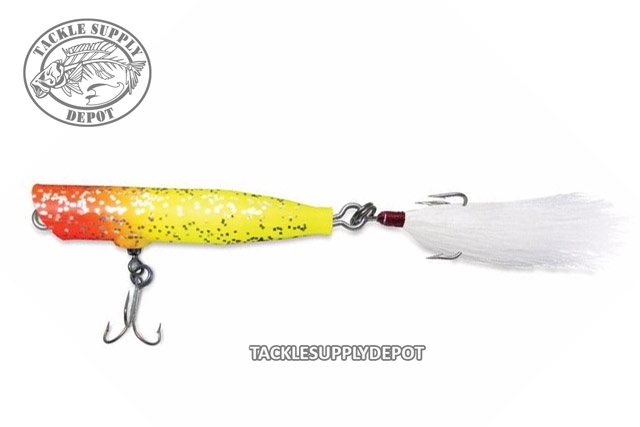 Striped bass, redfish, tarpon, bluefish, tuna, roosterfish and all types of jacks have fallen prey to this lure time and time again.